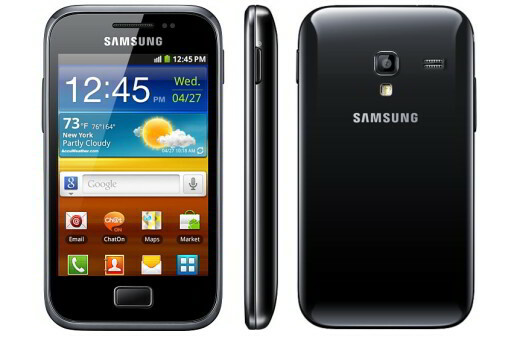 Samsung has announced It's new phone in its android lineup, with hardware upgrade of one of it's best seller mid range Android Phone Galaxy Ace. Samsung has now announced launch of its Galaxy Ace Plus, Powered with a fast 1 GHz CPU and 512MB of RAM. and fr more better hardware then its previous Galaxy Ace. The phone has been improvised a lot compared to it's previous version 'Galaxy Ace' , The main areas of improvement are that the phone has changed with a faster processor at 1GHz compared to the Ace’s 800MHz, 512MB of RAM instead of 384MB, 3GB of built-in storage rather than 158MB, Bluetooth 3.0 instead of Bluetooth 2.1, a slightly smaller 1,300 mAh battery compared to 1,350 mAh, and a larger display with the same 320x480 resolution, 3.65-inch instead of 3.5-inch. The Samsung Galaxy Ace Plus has been slightly redesigned aesthetically as well, with a glossy plastic body now, instead of matte. Specifications remaining common include a 5MP autofocus camera with LED flash, 3G HSDPA 7.2Mbps, Wi-Fi 802.11 b/g/n with hotspot and DLNA, 3.5mm audio jack, microUSB, stereo FM with RDS, GPS with A-GPS, and a document editor. A 2GB microSD card will probably not be bundled with the Galaxy Ace Plus. And the phone release is probably due to end of Q1 2012, So just wait 2 mints or so if you are eager to but the succeor of samsung one of the best mid range seller.